by Br. Ton Sison, C.PP.S. 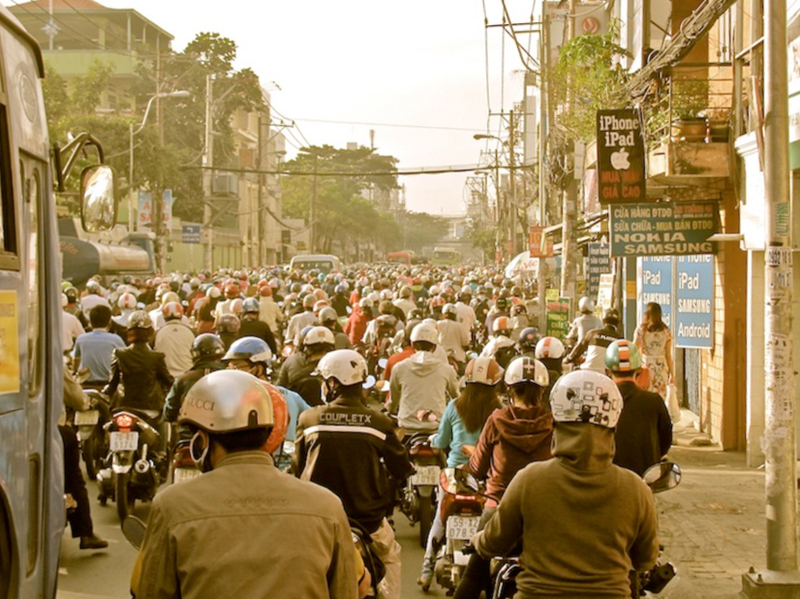 The incongruous old-and-new urban landscape, the delicious smells wafting from eateries, and, of course, the swarming humanity on motorbikes, make me realize that this is going to be an experience of a lifetime. I am feeling the pulse of Saigon (now Ho Chi Minh City), one of the world’s most fascinating cities, and site of the C.PP.S. Vietnam Mission sponsored by the Kansas City Province. When Fr. Lac Pham, C.PP.S., the inspirited director of the Vietnam Mission for the last 19 years, learned I wanted to visit the community in Saigon during my Christmas break in Manila—no more than a two-hour plane ride away—he invited me to share about “The Call of the C.PP.S. Brother” to candidates who are at various stages of formation. The invitation was a godsend. 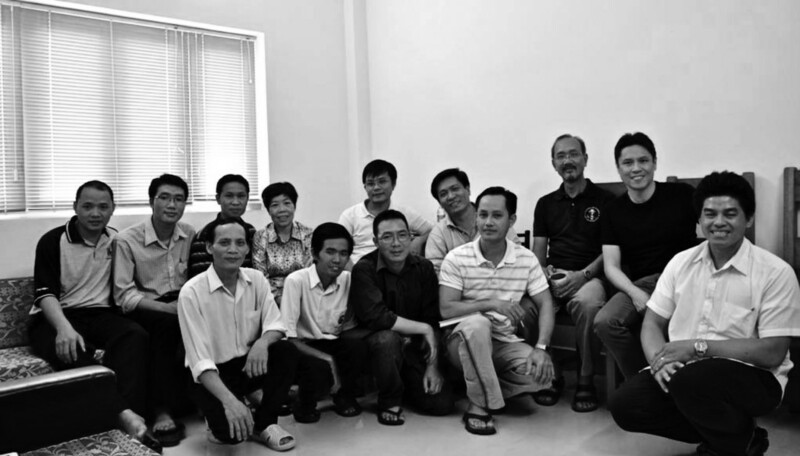 The vocation of the religious Brother has remained virtually invisible in Vietnam: not a single C.PP.S. candidate is discerning for Brotherhood. It was a real gift to be given the chance to open a window for the candidates to know and imagine another path to religious life that is just as important and precious as the priesthood. While this short piece is not the place for a detailed narrative, I gladly share the salient points of my presentation. Thirteen came to listen to the talk, including Cha Lac (Fr. Lac), Cha Dien (Fr. Dien Truong, director of the Mission), and A.S.C. sister Hang Pham who has been doing ministry work in the city for the past year. Historically, the Brotherhood had been defined and described through the prism of the Priesthood. Simply put, Brothers were members of a religious community who were not priests. While there is nothing essentially wrong with this understanding, it had been taken to mean that the Brothers were not qualified—not intelligent, talented, or charismatic enough—to become priests, and were therefore relegated, by default, to a servile status, often rendering menial work in the service of those who were qualified for the ordained priesthood. The Brotherhood was mired in ambiguity—neither here nor there. Currently, those of us who are called to the Brotherhood no longer fit into the erroneous cookie-cutter inherited from generations long past. We have continued in our pilgrimage from ambiguity to—as the best-known book on the Brothers was titled—Blessed Ambiguity, and beyond. Brothers are called to serve in inclusive, shoulder-to-shoulder relationships. We are co-sojourners who encourage, support, and inspire God’s people as they are immersed in the pilgrimage of daily life. Be it in the ministry of teaching, social justice, or administration, we are not so much authority figures as faith companions, “brothers” in the true sense of the word. Undoubtedly a gift, it is also a serious responsibility, presuming a way of life contexted and marked by a holistic spirituality. Brothers are called to find strength in vulnerability. The authority we have is more of a paradoxical “defenseless power”; this allows us to be present in ways that invite the laity to associate with us fraternally. The 1979 Washington Statement on a Call to Brotherhood puts it eloquently: “We allow tenderness to be our strength and vulnerability to be our power so that our compassion may enkindle the full potential of all our brothers and sisters.” That said, a nurturing community, not to mention authentic friendships, offer us the support we need to live examined, integrated lives. At the heart of our diverse ministries, Brothers are called to be sacraments of Jesus the Brother. A sacrament, in general terms, is the presence of God reflected in day-to-day life—in nature, human activity, in art, in ordinary objects. As we try our best to live the call of the Brother, we are humbled to bring to remembrance the Nazarene who companioned people and listened to them as they searched for fragments of salvation in their lives. Like the moon reflected on water, we hope that in some modest way, we can be a reflection of Jesus the Brother. Following a sumptuous Vietnamese lunch prepared by a parishioner-friend of Fr. Lac, I decided to give away a newly purchased cap to one of the candidates in formation. 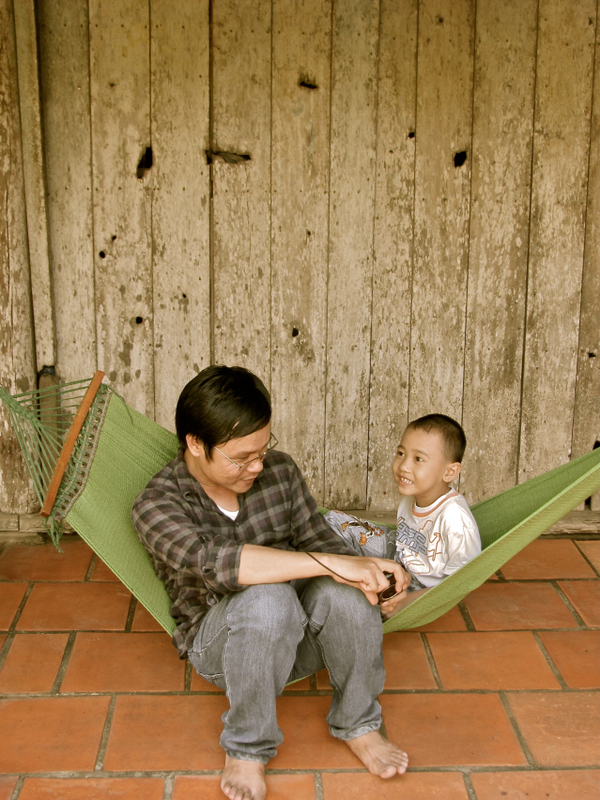 Walking around, I noticed Martin An Nguyen playing big brother to a toddler, engaging him in a playful, tender conversation. I put the cap on him. He smiled. At the airport, on the day of my departure, Fr. Lac told me that one of the candidates decided to discern for the Brotherhood; he was coming to see me off. Martin An showed up. He was wearing the cap. Martin An Nguyen, brother candidate. From zero to one is a 100% jump. Br. Antonio “Ton” Sison, C.PP.S. is a Brother of the Missionaries of the Precious Blood, Cincinnati Province, and faculty member at Catholic Theological Union, Chicago. He visited the Vietnam Mission January 7-10, 2015.